The importance of having uninsured motorist (UM) insurance coverage in California cannot be overstated. Every personal injury lawyer in this state will tell you that it is imperative for drivers in California to have UM coverage. According to California’s Department of Transportation, one in seven drivers in this state is driving without any automobile insurance – at all – right now. An accident with a driver who has no insurance is more than a possibility – it is a reality for many thousands of motorists each year in this state. You could easily be one of them, so you must know what to do if you are injured by a negligent, uninsured driver. WHAT SHOULD YOU DO IF AN UNINSURED DRIVER INJURES YOU? Seek medical attention first and at once. After you’ve been examined, if you have been injured, put your case in the hands of a trustworthy Orange County personal injury attorney. How your attorney handles your case will hinge to a great extent on the type and amount of auto insurance coverage you carry. A number of states legally compel motorists to purchase uninsured motorist coverage. California is not one of those states. Under California law, however, your auto insurance company is required to tell you that UM coverage is available and give you the opportunity to include it in your policy. 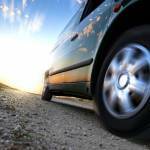 WHAT SPECIFIC UM COVERAGE IS AVAILABLE TO CALIFORNIA DRIVERS? 1. Uninsured motorist bodily injury coverage: This pays for your injuries and injuries to any person in your vehicle when there is an accident with injuries caused by a negligent, uninsured, at-fault driver. The limits are the same as your liability coverage limits. 2. Underinsured motorist coverage: This is additional coverage for bodily injury if you are injured by a driver whose insurance is insufficient to pay for damages. 3. Uninsured motorist property damage: This is coverage for damages to your vehicle if it is struck by a negligent, uninsured, at-fault driver. You may not need it if you have adequate collision coverage. Buying UM insurance coverage is smart. It is auto insurance that covers you in the event you are injured by an at-fault, negligent driver who has no auto insurance. WHEN A DRIVER IS UNINSURED, WHY IS LEGAL ACTION FUTILE? The main reason that UM coverage is a smart buy is because it almost never pays to sue an uninsured driver. They predictably have no money – that is usually why they are uninsured – so even prevailing with a lawsuit would likely be futile. In most accidents with injuries in California, victims will file an injury claim with the at-fault driver’s insurance company, but UM coverage lets you file a claim with your own auto insurance company when the at-fault driver has no auto insurance. However, after some accidents, and even when drivers carry UM coverage and they’ve been seriously injured by uninsured negligent motorists, insurance companies will try to avoid paying injury claims. That is one reason why – from the very beginning – you should let an accident lawyer handle your injury claim and all of the negotiations with your auto insurance company. WHAT AUTO INSURANCE COVERAGE DOES CALIFORNIA LAW REQUIRE? California law sets these minimum insurance coverage amounts, but drivers can and should carry more coverage, especially uninsured motorist coverage. WHAT CAN HAPPEN TO A DRIVER WHO HAS NO AUTO INSURANCE? Drivers must prove that they have the minimum coverage when they are involved in any collision that results in property damage over $750 and/or one or more injuries or fatalities. 1. You may be fined. 2. Your driver’s license may be suspended for one year. 3. Your vehicle may be impounded. If you can show proof of insurance after a year, your license can be reinstated, but a subsequent accident with no auto insurance may result in a license suspension of four years. Every California motorist needs to be certain that he or she has the minimum legal automobile insurance. If you don’t, stop reading this and buy auto insurance right now. 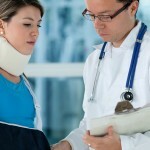 IF YOU’RE INJURED, HOW DO YOU DEAL WITH THE INSURANCE COMPANY? What if you have adequate auto insurance, but you are injured on a California street or highway by a driver who is uninsured, negligent, and at-fault? Except to inform your auto insurer that a crash has happened, do not make any statement to any insurance company. And if you’re injured, do not sign any paperwork offered to you by an insurance company – or agree to any settlement – before you’ve consulted an experienced auto accident attorney. Discuss your case with an attorney immediately after you have been examined by a doctor or by another professional healthcare provider. 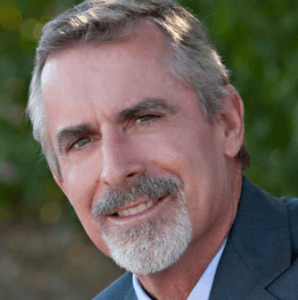 HOW CAN AN AUTO ACCIDENT LAWYER HELP? A personal injury attorney will review your case at no cost to you, sort through the details, protect your legal rights, and explain your legal options. It won’t cost a thing to learn more about your rights. If you have a personal injury claim, your attorney will negotiate for your settlement with the auto insurance company. Personal injury lawyers are trained and experienced negotiators who routinely represent the injured in these kinds of negotiations. While your attorney handles your claim, you’ll be able to concentrate on getting your health back. The overwhelming majority of injury cases are settled out of court in private negotiations.